With Scientific WorkPlace, you can create, edit, and typeset mathematical and scientific text more easily than ever before. The software is based on an easy-to-use word processor that completely integrates writing mathematics and text in the same environment. With the built-in computer algebra systems, you can perform computations right on the screen. Scientific WorkPlace 6 continues to be a front-end for the LATEX typesetting program which is used to typeset complex technical documents. This means that you don’t have to learn the LATEX syntax. Because of its superior precision and quality, LATEX is the gold standard for publishers and authors of scientific papers and books. When you typeset, LATEX automatically generates footnotes, indexes, bibliographies, tables of contents and cross references. The software includes document shells that have been designed to meet the typesetting requirements of specific professional journals and institutions. Scientific WorkPlace 6 automatically saves your documents as XML files. This makes them completely portable across platforms. Sharing your work with colleagues is easy and seamless. Scientific WorkPlace 6 uses MuPAD 5 as the embedded computer algebra system. In this integrated working environment, you can enter mathematics and perform computations without having to think or work in a programming language. Scientific WorkPlace 6 uses natural mathematical notation, so you don’t have to master complex syntax to be able to evaluate, simplify, solve, or plot mathematical expressions. Full computer algebra capabilities are available. You can compute symbolically or numerically, integrate, differentiate, and solve algebraic and differential equations. With menu commands you can compute with over 150 units of physical measure. With Scientific WorkPlace 6 you can create two- and three-dimensional plots in many styles and coordinate systems, and enhance the plots with background color, grid lines, and plot labels in specified locations and orientations. Although there are substantial changes to Scientific WorkPlace 6, the computation behavior of the program is largely unchanged and will be familiar to previous users of our products. While you are doing the work of creating content, you do not need to be distracted by formatting tasks. Scientific WorkPlace 6 does that work for you. With so many available output options, each with a different purpose and appearance, taking the time-consuming approach of trying to make the document on the screen look as much as possible like the printed document is simply not necessary. On the Mac® the spellchecker uses the OS X® dictionary. Version 6 provides direct access to the Internet from within the program. The online Help system provides fast information when you need it. Scientific WorkPlace 6 speeds document formatting with a new visual interface for page layouts. 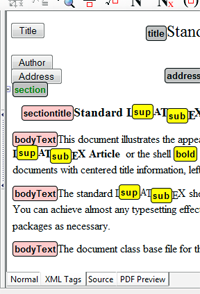 Common tasks, such as a section head and footnote formatting are simpler. This new WYSIWYG interface translates directly to TEX. There is little or no need to use the document preamble or raw TEX commands to achieve the page format you want. Tables in Scientific WorkPlace 6 are made easier by a new visual interface. Rows and columns will resize automatically to fit the amount of information being entered; you can also manually resize them. Scientific WorkPlace 6 gives you improved and scalable fonts. Use pdfLATEX or XƎTEX to create documents with a wide variety of scalable fonts. With XƎTEX you can use any OpenType font installed on your computer, as well as Unicode and associated extended Unicode TrueType fonts. The program includes the latest version of LATEX and AℳS macros. The packages yield ligatures and kerning in all text when documents are typeset. Scientific WorkPlace®, Scientific Word®, and Scientific Notebook® are designed to increase productivity for anyone who writes technical documents, especially those containing mathematics. They are perfect for writers in all technical fields: mathematics, physics, engineering, chemistry, computer science, economics, finance, statistics, medical research, operations research, logic, and more. Scientific WorkPlace 6 has an updated program window with streamlined layouts for the toolbars and symbol panels. 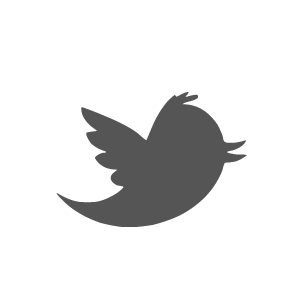 Most tools work the same way they did in earlier versions. A mouse-activated tooltip gives the name of each toolbar button and panel symbols. With Version 6 you can display your document with or without XML tags, as XHTML source code, or PDF. Until now, traditional typesetting and symbolic computation systems forced you to use an array of commands and a complex syntax to represent your input. Many of these systems have over 2,000 separate operators, such as int and diff, that you must learn in order to create input. Scientific WorkPlace® eliminates the need to learn complex syntax by using natural notation for input and to show results. With these products, you can enter mathematics easily with the mouse, or, as you gain confidence and familiarity, with keyboard shortcuts. A computer algebra system, or CAS, is a mathematics engine that performs the symbolic computations fundamental to algebra, trigonometry, and calculus. Recent versions of Scientific WorkPlace® and Scientific Notebook® (after Version 4.1 Build 2347) include the kernel to the computer algebra system MuPAD®. With MuPAD 5®, you can evaluate, factor, combine, expand, and simplify terms and expressions that contain integers, fractions, and real and complex numbers, as required in simple arithmetic and algebra. You can also evaluate integrals and derivatives, perform matrix and vector operations, find standard deviations, and perform many other more complex computations involved in calculus, linear algebra, differential equations, and statistics. Additionally, you can create 2D and 3D plots of polynomials, trigonometric functions, and exponentials, and you can create and explore animated 2D and 3D plots. On the Windows® platform spell checking in realtime is provided using inline spell checking from MySpell. MySpell provides a free open-source dictionary for over 40 languages. Misspelled words have a wavy red underline. There is also a Check Spelling dialog box where you can choose to replace a misspelled word, or to ignore the suggested corrections. You may also specify which language to use. When you want to publish your document on the web, you simply choose “Export to Web” on the File menu. This will save your document, any graphics files your document references, the CSS files used by your document (which govern your document’s on-screen appearance), and any other necessary files to a single zip file. You can then expand the zip file on your web server. Exam Builder takes advantage of the capabilities built into Scientific WorkPlace and Scientific Notebook, yielding some of the most powerful features available in algorithmic exam generation. Use random number functions, tables, and graphics in a document. Create a wide variety of course materials for use in your courses: exams, quizzes, tests, tutorials, problem sets, drills, or homework assignments. Now with Version 6 you have a choice of operating systems: Windows® or OS X®. With its entirely new Mozilla-based architecture, Version 6 provides more flexibility for your workplace. You can save or export your documents in multiple formats according to your publication and portability needs. Your documents are saved as XML files, making them completely portable across platforms. Sharing your work with colleagues is easier than ever. The program window has been updated with streamlined layouts for the toolbars and symbol panels. 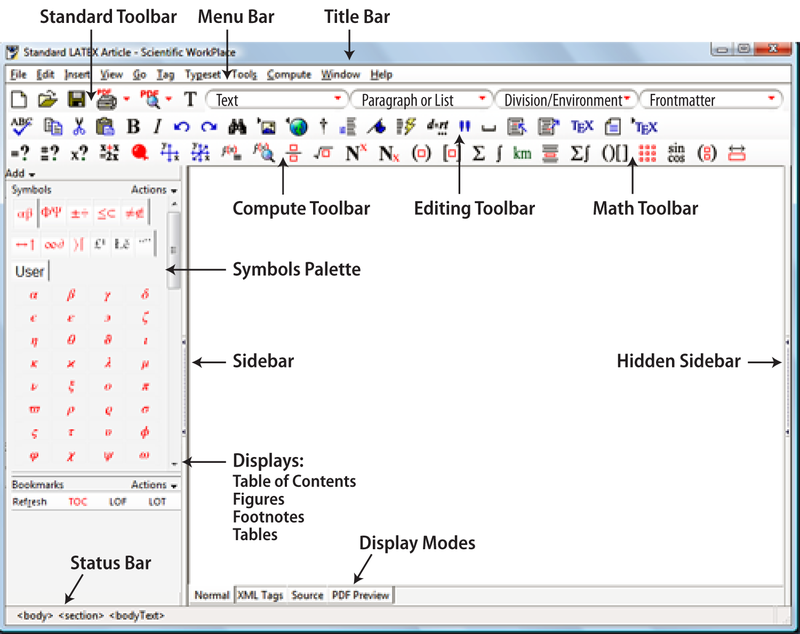 Most tools work the same way they did in earlier versions, with a mouse-activated tooltip giving the name of each toolbar button and panel symbols. With Version 6 you can display your document with or without XML tags, as XHTML source code, or PDF(except in Scientific Notebook). Documents and all files related to them (embedded files, plot files, etc.) are automatically bundled together. You only need a single file bearing the extension .sci to share a document. You can seamlessly import TEX files created with earlier versions of the program, and you can export any document as a TEX file. In XML and XHTML files, Version 6 represents your mathematics as MathML. This makes it easy to create XHTML web files for the representation of your mathematics on various platforms over the Internet with a browser. Note that the browser recommended for Version 6 is Firefox, not Scientific Viewer. On the Windows® platform spell checking in realtime is provided using inline spell checking from MySpell. MySpellprovides a free open-source dictionary for over 40 languages. Misspelled words have a wavy red underline. There is also Check Spelling dialog box where you can choose to replace a misspelled word or to ignore the suggested correction. You may also specify which language to use. Common tasks such as section head and footnote formatting are simpler. The page layout you define in new WYSIWYG interface translates directly to TEX. The page and table layout interfaces are new. use pdfLATEX and XƎTEX to create documents with a wide variety of scalable fonts. With XƎTEX you can use any OpenType font installed on your computer, as well as Unicode and associated extended Unicode TrueType fonts. The program includes the latest version of LATEX and AMS macros. The packages yield ligatures and kerning in all text when documents are typeset. By choosing a shell that uses AMS-LATEX typesetting specifications documents are formatted automatically. REVTEX is a package of LATEX macros designed for preparing physics manuscripts. The software includes a shell with typesetting specifications for producing typeset document for several different publications. 1.1 “Product” means the software, license, and documentation for Scientific WorkPlace 6, downloaded or supplied on CD-ROM or DVD, together with any and all corrections and updates furnished by MacKichan to you under paragraphs 4.2, 5.2, 5.3 or otherwise under this Agreement. 2.1 Grant. MacKichan hereby grants you a personal, nonexclusive, nontransferable License to install and use the Product for your personal requirements, either to be used by a single person who uses the software personally on one or more computers, or to be installed on a single workstation used non-simultaneously by multiple people, but not both. (a) You shall either: use the Product only on authorized computers which are owned or used by you and you will use the Product solely for your personal use; or: install the product on a single workstation used non-simultaneously by multiple people; but not both. (e) You shall not sub-license, sell, lend, rent, lease, or otherwise transfer all or any portion of the Product or the Documentation to any third party except as permitted in paragraph 7.2. 2.3 Reservation of Proprietary Rights. The Product and Documentation involve valuable copyright, trade secret, trademark and other proprietary rights of MacKichan. Except for the License granted under paragraph 2.1, MacKichan reserves all rights to the Product and Documentation. No title to or ownership of any Product or proprietary rights related to the Products or Documentation is transferred to you under this Agreement. 3.1 Telephone Support. MacKichan will offer telephone and/or electronic mail (e-mail) support to you during the hours of 8:00 a.m. to 5:00 p.m. (Pacific time), Monday through Friday, excluding national holidays observed by MacKichan. MacKichan shall not be obligated to answer support questions from persons other than you. 3.2 Software Updates. Upon the publication of a new version of the Product or Documentation, you may choose to continue to use the version of the Program licensed to you in paragraph 2.1. You may also choose to purchase a new license for the new version(s) of the Program or Documentation in accordance with the terms of the upgrade policy established by MacKichan from time to time. 4.1 Term. The term of this Agreement and the License set forth in paragraph 2.1 shall commence on the date of this Agreement and shall end upon the termination of this Agreement pursuant to paragraph 4.2 or 4.3. 4.2 Termination By You. You may terminate this Agreement and the License by giving thirty (30) days written notice to MacKichan. Any and all outstanding fees due must be paid commensurate with such notice of termination. 4.3 Termination By MacKichan. If you default in the performance of or compliance with any of your obligations under this Agreement, and such default has not been remedied or cured within thirty (30) days after MacKichan gives you written notice specifying the default or, if the nature of the default is such that more than thirty (30) days are required for the cure thereof, you fail to commence your effort to cure such breach or default within such thirty (30) days and to diligently prosecute the same to completion thereafter, MacKichan may terminate this Agreement and the License, in addition to its other rights and remedies under law. 4.4 Post Termination. Upon termination of this Agreement by MacKichan, you shall immediately cease use of the Product and Documentation and destroy (and in writing certify such destruction) or return to MacKichan all copies of the Product and Documentation then in your possession or control within five (5) days after termination. 4.5 Survival. Sections 1, 4, 6 and 7 and paragraphs 2.3 and 5.4 and all other provisions of this Agreement which may reasonably be interpreted or construed as surviving the termination of this Agreement, shall survive the termination of this Agreement. 5.1 Performance Warranty. 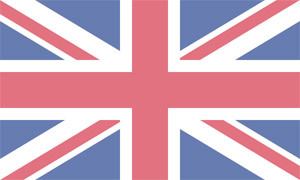 MacKichan warrants to you that for a period of thirty (30) days commencing upon delivery of the Product to you, that when operated in accordance with the Documentation and other instructions provided by MacKichan, the Product will perform substantially in accordance with the functional specifications set forth in the Documentation. During the warranty period, MacKichan will provide you, at no additional charge, with (i) a replacement copy of the Product if the media becomes damaged or is destroyed to the extent that the Product is unusable, and (ii) advice, consultation and assistance to use the Product and diagnose and correct problems that you may encounter. 5.2 Remedy. If the Product fails to comply with the warranty set forth in paragraph 5.1, MacKichan will use reasonable efforts to correct the noncompliance (e.g., by furnishing a correction or update of the non-compliant Product), provided that: you notify MacKichan of the noncompliance within thirty (30) days after delivery of the Product to the you; and MacKichan is able to reproduce the noncompliance. If after the expenditure of reasonable efforts MacKichan is unable to correct any such noncompliance, MacKichan may, in its sole discretion, refund to you all or an equitable portion of the license fee paid by you to MacKichan for such Product in full satisfaction of your claims relating to such noncompliance. 5.3 Warranty Limitations. MacKichan does not warrant that the Product is free from all bugs, errors and omissions. The warranty set forth in paragraph 5.1 applies only to the latest release of the Product made available by MacKichan to you. Such warranty does not apply to any noncompliance resulting from misuse, casualty loss, use or combination of the Product with any products, goods, services or other items furnished by anyone other than MacKichan or any modification not made by or for MacKichan. 5.4 DISCLAIMER AND RELEASE. THE WARRANTY OF MACKICHAN AND YOUR REMEDIES SET FORTH IN THIS SECTION 5 ARE EXCLUSIVE AND IN SUBSTITUTION FOR, AND YOU HEREBY WAIVE, RELEASE AND DISCLAIM, ALL OTHER WARRANTIES, OBLIGATIONS AND LIABILITIES OF MACKICHAN AND ALL OTHER REMEDIES, RIGHTS AND CLAIMS YOU MIGHT HAVE, EXPRESS OR IMPLIED, ARISING BY LAW OR OTHERWISE, WITH RESPECT TO THE PRODUCTS, DOCUMENTATION, SERVICES AND ANY OTHER ITEMS SUBJECT TO THIS AGREEMENT, INCLUDING, BUT NOT LIMITED TO: (A) ANY IMPLIED WARRANTY OF MERCHANTABILITY OR FITNESS FOR A PARTICULAR PURPOSE; (B) ANY IMPLIED WARRANTY ARISING FROM COURSE OF PERFORMANCE, COURSE OF DEALING OR USAGE OF TRADE; (C) ANY OBLIGATION, LIABILITY, RIGHT, REMEDY, OR CLAIM IN TORT, NOTWITHSTANDING ANY FAULT, NEGLIGENCE, STRICT LIABILITY OR PRODUCT LIABILITY OF MACKICHAN (WHETHER ACTIVE, PASSIVE OR IMPUTED); AND (D) ANY OBLIGATION, LIABILITY, REMEDY, RIGHT OR CLAIM FOR INFRINGEMENT. 6.1 Excused Performance. Neither party will be liable for, or be considered to be in breach of or default under this Agreement on account of, any delay or failure to perform as required by this Agreement (other than monetary obligations) as a result of any cause or condition beyond such party’s reasonable control. 6.2 DOLLAR LIMITATION. MACKICHAN’S LIABILITY (WHETHER IN CONTRACT, WARRANTY, TORT OR OTHERWISE; AND NOTWITHSTANDING ANY FAULT, NEGLIGENCE, REPRESENTATION, STRICT LIABILITY OR PRODUCT LIABILITY OF MACKICHAN) UNDER THIS AGREEMENT WITH REGARD TO ANY PRODUCT, DOCUMENTATION, SERVICES OR OTHER ITEMS SUBJECT TO THIS AGREEMENT SHALL IN NO EVENT EXCEED THE TOTAL COMPENSATION PAID BY YOU TO MACKICHAN UNDER THIS AGREEMENT. 6.3 DAMAGE LIMITATION. IN NO EVENT WILL MACKICHAN HAVE ANY OBLIGATION OR LIABILITY (WHETHER IN CONTRACT, WARRANTY, TORT (INCLUDING NEGLIGENCE), PRODUCT LIABILITY OR OTHER CAUSE OF ACTION) FOR THE COST OF COVER OR FOR ANY INCIDENTAL, DIRECT, INDIRECT OR CONSEQUENTIAL DAMAGES OR LIABILITIES (INCLUDING, BUT NOT LIMITED TO, ANY LOSS OF REVENUE, PROFIT OR BUSINESS) EVEN IF MACKICHAN OR ITS EMPLOYEES AND REPRESENTATIVES HAVE BEEN ADVISED OF THE POSSIBILITY OF SUCH DAMAGES. 7.1 Notices. Any notice or other communication under this Agreement given by either party to the other will be deemed to be properly given if given in writing and delivered in person or by facsimile, if acknowledged received by return facsimile or followed within one day by a delivered or mailed copy of such notice, or if mailed, properly addressed and stamped with the required postage, to the intended recipient at its address specified in this Agreement. Either party may from time to time change its address for notices under this paragraph by giving the other party notice of the change in accordance with this paragraph. 7.2 Assignment. You shall not assign (directly, by operation of law or otherwise) this Agreement or any of its rights under this Agreement without the prior written consent of MacKichan. Subject to the foregoing, this Agreement is binding upon, inures to the benefit of and is enforceable by the parties and their respective successors and assigns. 7.3 Nonwaiver. Any failure of either party to insist upon or enforce performance by the other party of any of the provisions of this Agreement or to exercise any rights or remedies under this Agreement will not be interpreted or construed as a waiver or relinquishment of such party’s right to assert or rely upon such provision, right or remedy in that or any other instance; rather the same will be and remain in full force and effect. 7.4 Entire Agreement. This Agreement consists of the entire Agreement and supersedes any and all prior agreements between MacKichan and you relating to the Product, Documentation and other items subject to this Agreement. No amendment of this Agreement will be valid unless set forth in a written instrument signed by both parties. 7.5 Compliance with Laws. MacKichan and you shall each comply with all applicable laws, regulations, rules, orders and other requirements, now or hereafter in effect, of any applicable governmental authority, in their performance of this Agreement. Without limiting the generality of the foregoing, you will comply with all export control laws and regulations of the United States in dealing with the Product including its export and use of the Product outside the United States. 7.6 Governing Law. THIS AGREEMENT WILL BE INTERPRETED, CONSTRUED AND ENFORCED IN ALL RESPECTS IN ACCORDANCE WITH THE LAWS OF THE STATE OF WASHINGTON WITHOUT REFERENCE TO ITS CHOICE OF LAW RULES. YOU WILL NOT COMMENCE OR PROSECUTE ANY CLAIM, ACTION, SUIT OR PROCEEDING RELATING TO THIS AGREEMENT OR THE PRODUCT, DOCUMENTATION, SERVICES OR OTHER ITEMS SUBJECT TO THIS AGREEMENT OTHER THAN IN THE COURTS OF THE STATE OF WASHINGTON, KING COUNTY, OR THE UNITED STATES DISTRICT COURT LOCATED IN KING COUNTY. YOU HEREBY IRREVOCABLY CONSENT TO THE JURISDICTION AND VENUE OF THE COURTS IDENTIFIED IN THE PRECEDING SENTENCE IN CONNECTION WITH ANY CLAIM, ACTION, SUIT OR PROCEEDING RELATING TO THIS AGREEMENT OR ANY PRODUCT, DOCUMENTATION, SERVICES OR OTHER ITEMS SUBJECT TO THIS AGREEMENT. The manual describes how to use MuPAD® to do a wide range of mathematics without dealing directly with the syntax of the computer algebra systems. The book is organized around the undergraduate mathematics curriculum for ease of use by beginners through professionals. It includes basic procedures, examples, instructions, and sample solutions. Creating basic and advanced documents is straightforward when document creation tasks are explained in detail. The manual presents step-by-step instructions for working with document files, entering text and mathematics, formatting, and previewing and printing with and without LATEX andpdfLATEX typesetting. It also includes information about structuring documents for typesetting and for online use, managing documents, and customizing the program. © Copyright 1998 - 2019 MacKichan Software, Inc.
Software per realizzare documenti di testo matematico e scientifico in linguaggio LaTeX con grande facilità. Include potenzialità di calcolo matematico all’interno del documento di testo.